Posted on 19th February 2016 at 6:31 pm. 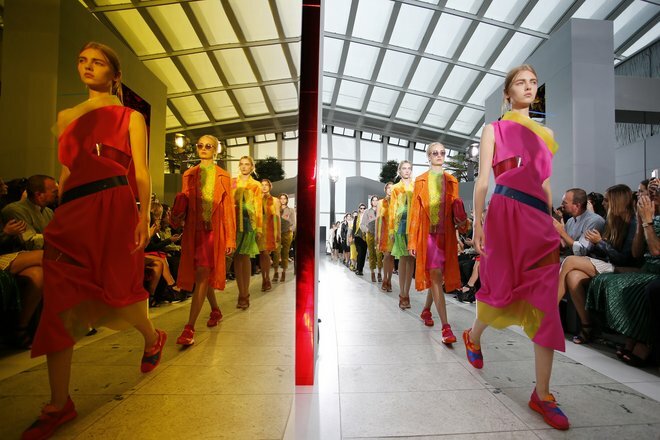 The fashion world descends on Soho this week, as London Fashion Week makes Brewer Street its headquarters once again. But the area is famous for much more than fashion – here are the places to drink, dine and stay while you’re in the capital’s entertainment district. It is unsurprising that this Wonderland-style hotel is located in bright and buzzing Soho. 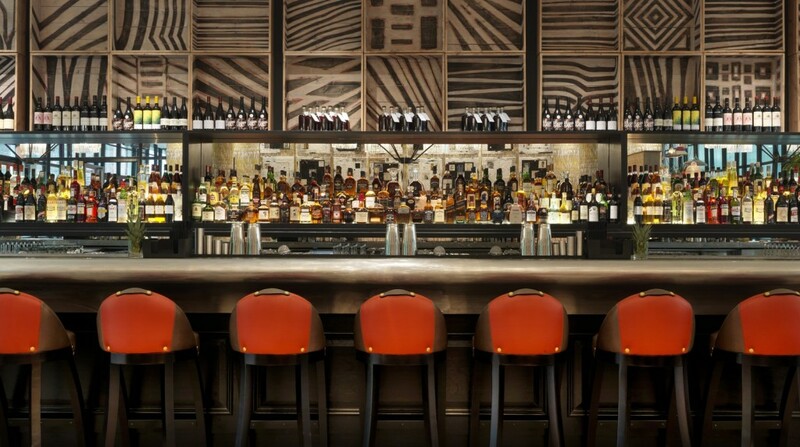 With a boldly-coloured, open-plan restaurant and chic cocktail bar – both boasting tasty and inventive menus – not to mention a bowling alley, theatre, library and roof garden, there really is no need to venture from the Ham Yard sanctuary. 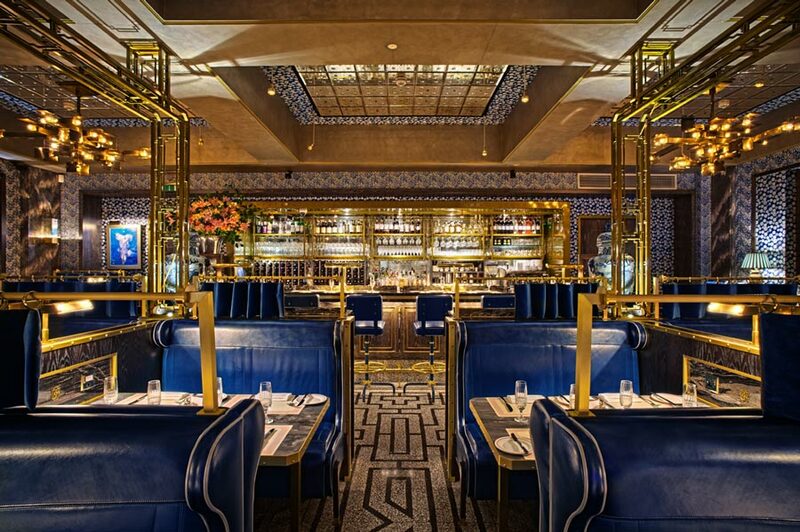 The Gatsby-esque Bob Bob Ricard is unapologetically lavish – from its Russian-inspired menu to the elegant booths and, perhaps the most talked-about attribute, the “push for champagne” button. 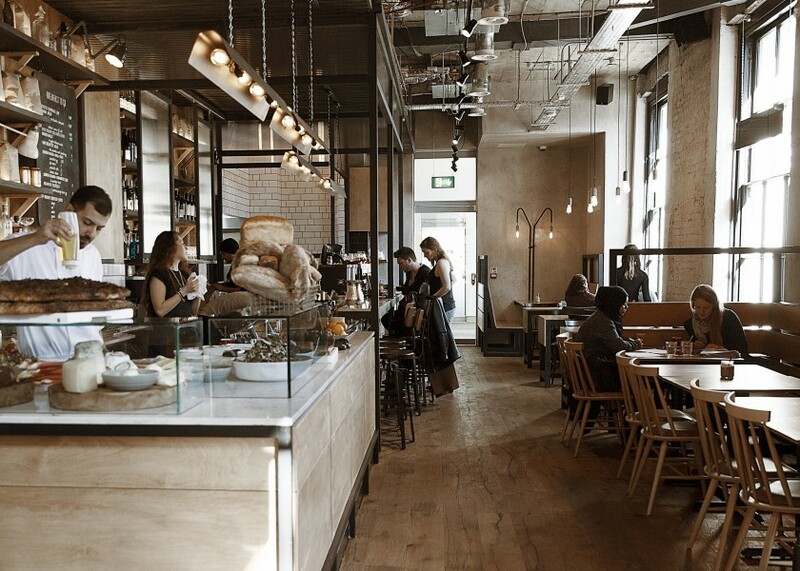 A treasure trove of coffee houses and tea rooms inhabit Soho and some, Soho Grind included, turn into drinking establishments after dark. 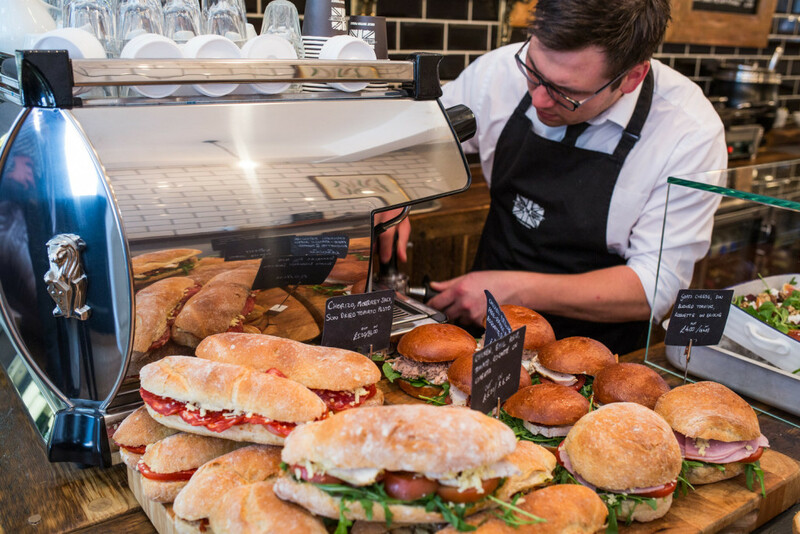 To cover all bases, visit for coffee and cake during the day then espresso martinis when night falls. Artisan café by day, cocktail bar by night, the Urban Tea Rooms offers a cosy spot to unwind just minutes away from Oxford Street, plus the canopied terrace makes a surprisingly peaceful place for people watching. 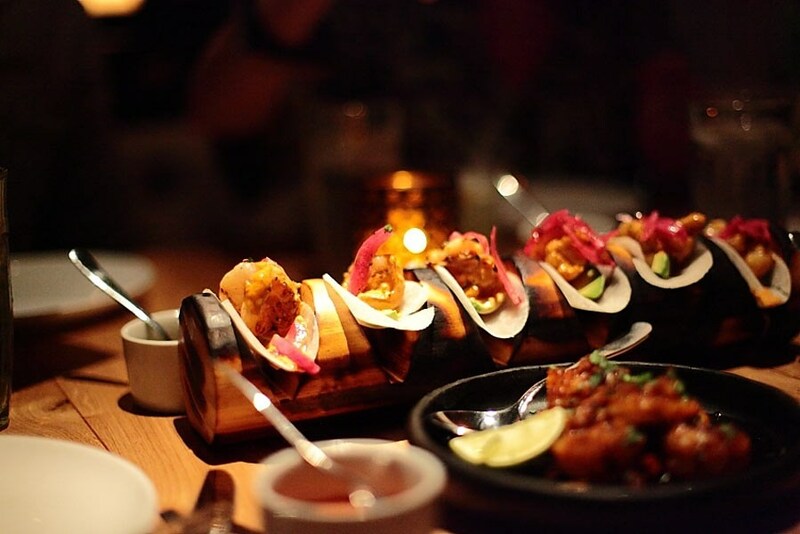 Assuming that you have a reservation, you’ll be invited to descend the staircase at the back of the shop, into a candlelit cave serving tequila-based cocktails and a menu that includes BBQ’d octopus; seared steak and sweetbread tacos; duck and guacomole tostaditas; red snapper ceviche and Chicken Paillard. It’s a buzzing, hacienda-style, subterranean den enveloped by battered concrete walls; old tequila barrels; one large, deconstructed piano tipped on its side; and – most surprisingly of all – other diners, all of whom have somehow managed to fall down the same rabbit hole as you..
Posted on 11th February 2016 at 4:02 am. 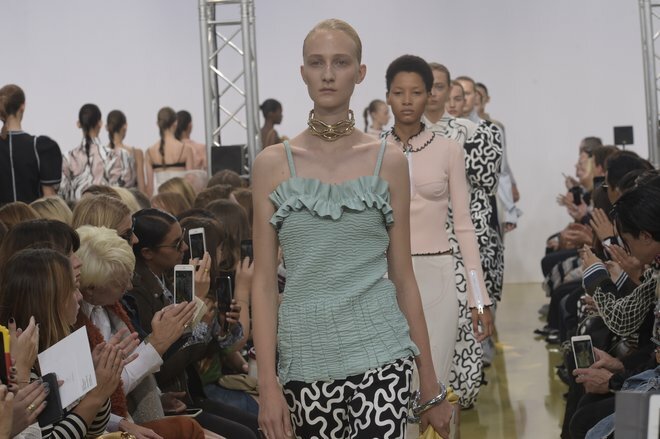 London Fashion Week has Topshop Unique and Paris Fashion Week has H&M Studio: this was the third year the Scandinavian super giant took to the schedule to show off its wares. And don’t underestimate it – it has plans to beam you up next season. 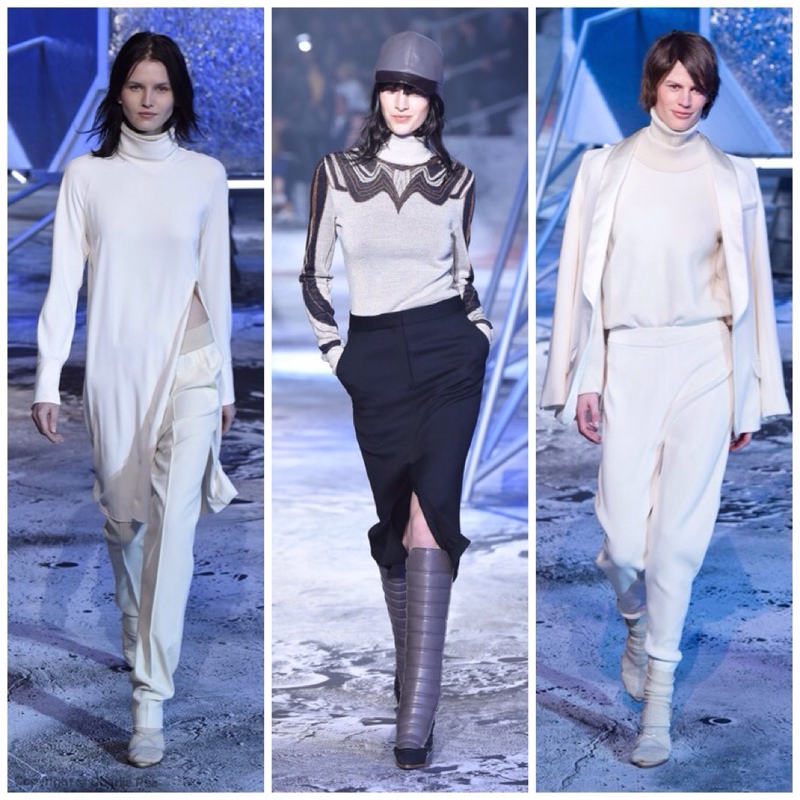 This show we were transported to planet H&M for its own interpretation of the lunar landings – the Grand Palais transformed into a space-age, sci-fi hub – with tinfoil-like pods sitting along the catwalk (out from which later, men appeared and the cocktail party began) and many Barbarella moments to be had. 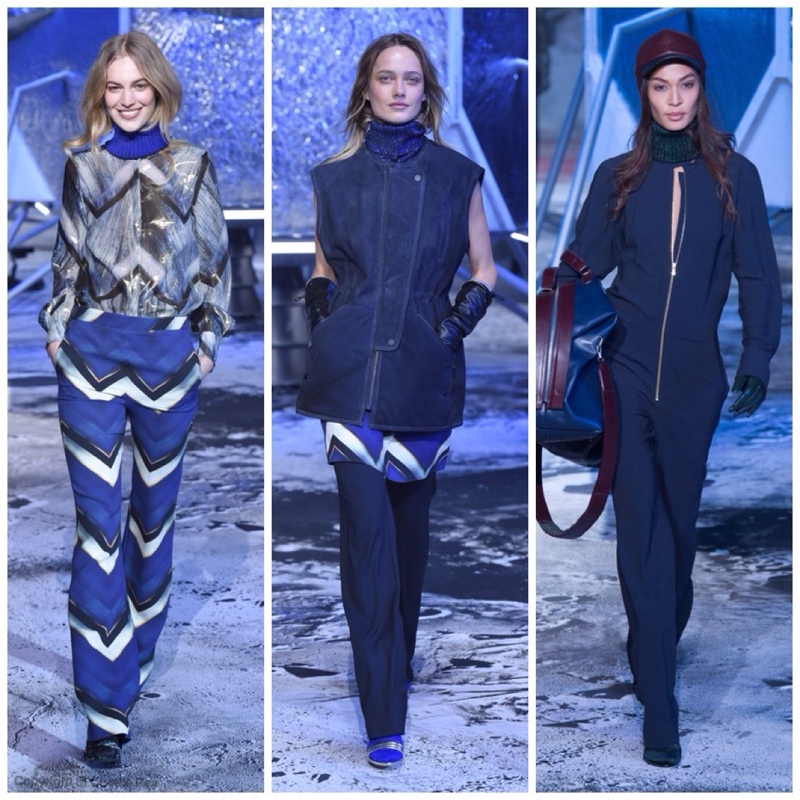 “We wanted to turn it up a bit this time,” said H&M’s head of design Ann-Sofie Johansson after the show, which saw Caroline de Maigret start proceedings in a silver all-in-one, making her way down the catwalk. Which had us wondering what the clothes that followed would be like. 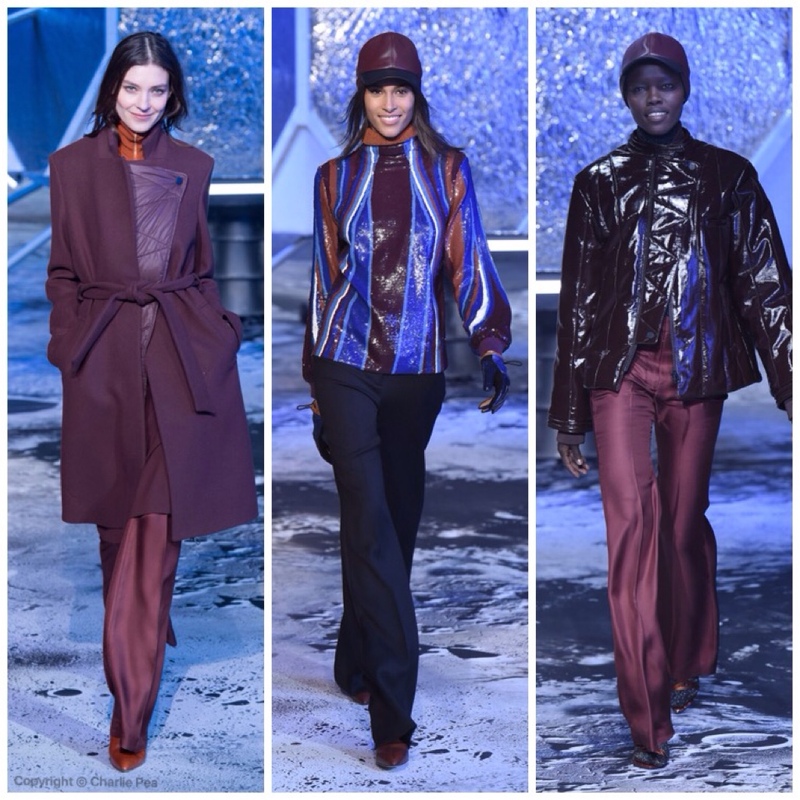 “Hard metallics, space shapes, interiors, quilting,” reeled off Johansson of her references, the space-ageness aspect turned down and translated into a functional-meets-sporty collection. Step forward a host of huge quilted bags and jackets; caps with every look; a moonboot-sneaker hybrid; lots of spangly sequins and silhouettes that riffed on the Sixties to Seventies. She had a great model line-up to assist her fashion orbit: Kendall and Gigi and Edie, while Audrey Tautou and Mark Ronson looked on. Posted on 28th September 2015 at 4:37 pm. 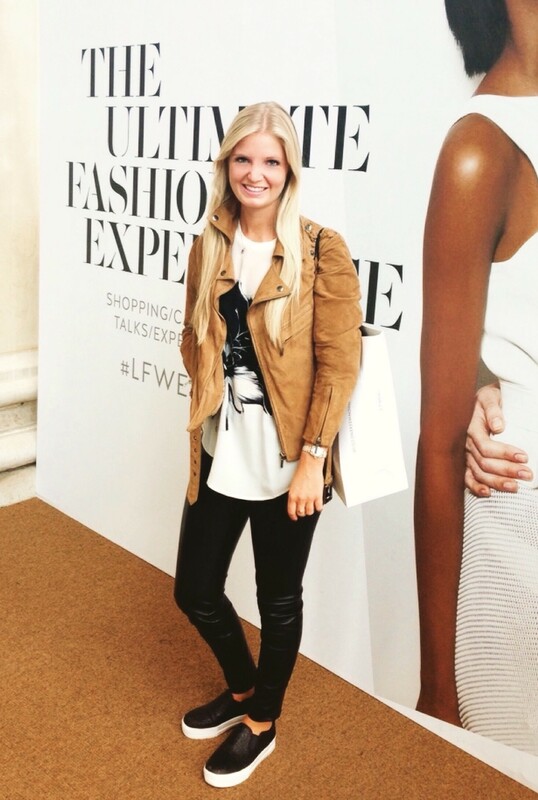 As always London Fashion Weeks ends with London’s biggest pop up – London Fashion Weekend. 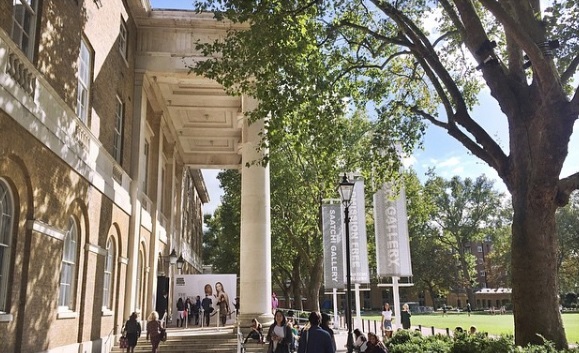 This year London Fashion Weekend relocated to the Saatchi Gallery, the largest free-entry contemporary art gallery in the world, which transformed into fashion’s fantasy department store with hundreds of designers offering the best of UK and international designs. During the day we were invited to watch two fashion shows. This show runs through four need-to-know AW15 trends with specially curated looks from top designer and high street brands. 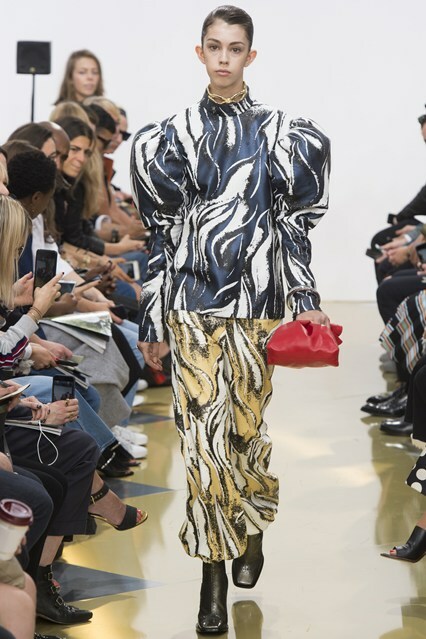 Into the wild: One of fashion’s favourite prints took centre stage once again for AW15 as leopard, cheetah, snake and zebra prints stalk the runway. 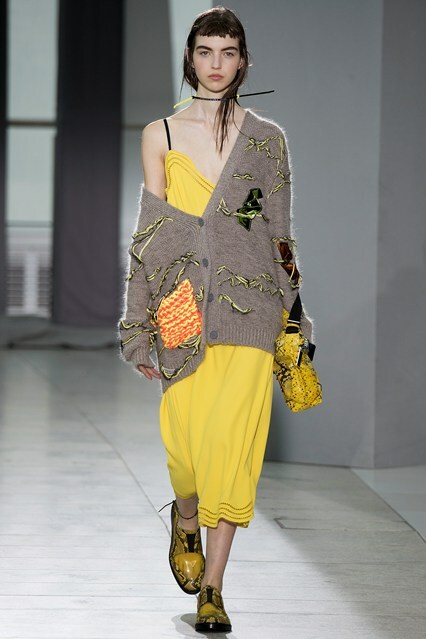 The overall look is bold and arresting take on daywear. 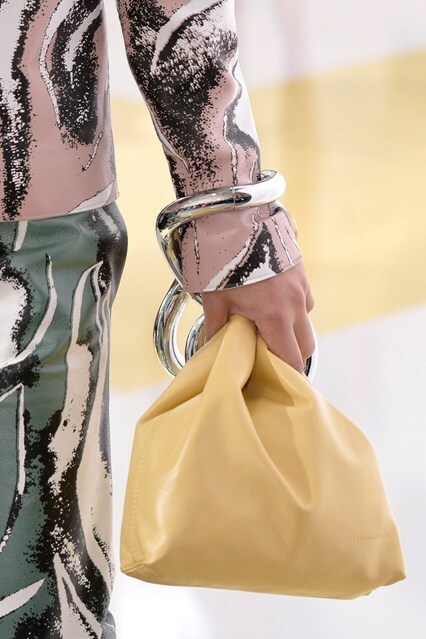 Dip your toe into the trend and work animal print accessories with a classic monochrome outfit or go bold and do a print clash with floral or stripes. Punk Rock: Fashion’s inner wild child is unleashed this season, with Vivienne Westwood, McQueen and Saint Laurent all experimenting with punk styling. Safety pins, leather, bold tartan and black velvet more than nod to the look. Take on the trend with shoes or accessories for just a hint of punk attitude in your everyday wardrobe. 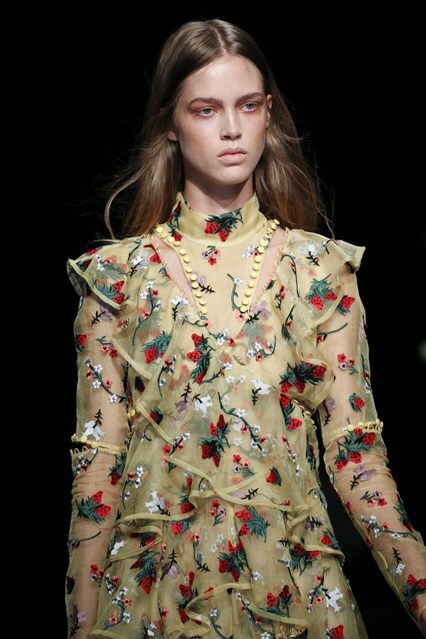 Super Retro: The 70’s and all things retro is back in a big way for A/W and we can’t get enough. 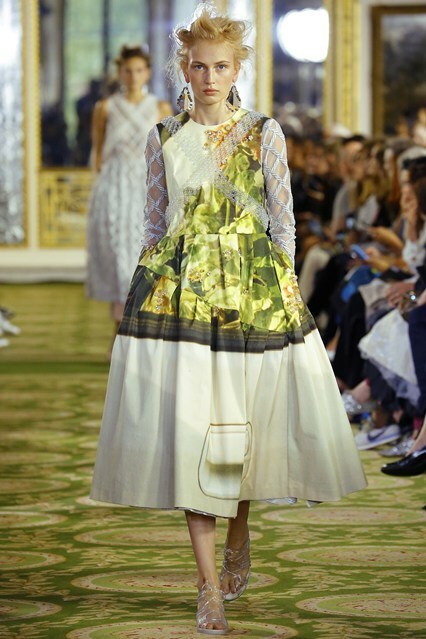 Flower power blooms with mesmerising psychedelic prints, and mustard and powder blue shades took us right back to the stylish decade courtesy of looks by Burberry, Chloe etc. Masala Tones: Perfect for the change in season; the paprika, plum and burgundy tones give timeless accessories and biker jackets an autumnal touch of cool and berry lips complement the trend. Work red tones in head-to-toe pieces for a dramatic evening look, or update your wardrobe with a key pieces and make masala the exclamation point to a colour block outfit. After the shows we explored the different pop-ups. Having worked with Blake Ldn at last years London Fashion Weekend it was only right to head there first. 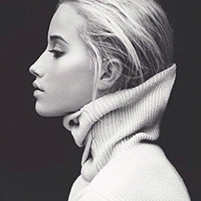 If you are ever in need of cosy, warm and chunky knits then this is where you need to go. Not far away you will also find Marina London – the most elegant silk designer who makes beautiful, everyday essentials that are classic and simple – I couldn’t resist. To finish the day we ended up at the Gallery Mess for a traditional afternoon tea of scones, cakes and macaroons before saying our goodbyes and heading home. Posted on 24th September 2015 at 6:22 am. 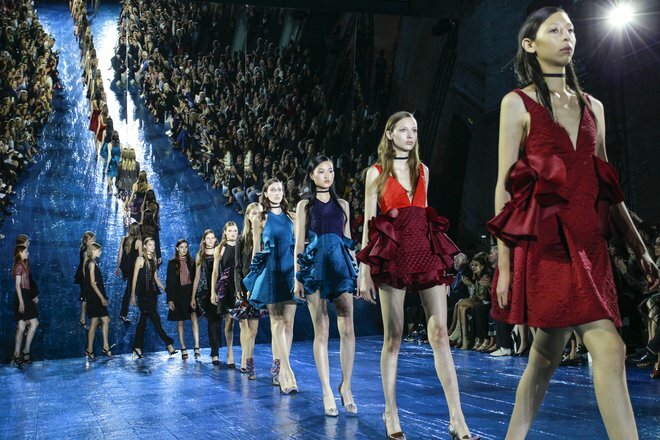 As London Fashion Week draws to a close, designers are wending their way home from Samantha Cameron’s party to sleep for the first time in days, and editors are thinking about what they’ll be remembering from a sightseeing tour of the city that took them all over the map. In general: Despite traffic and lashings of London rain, it was a week of individualism, British humor, prettiness, and emotional surprises. Pop concerts in Hyde Park are always part of London’s summer life. 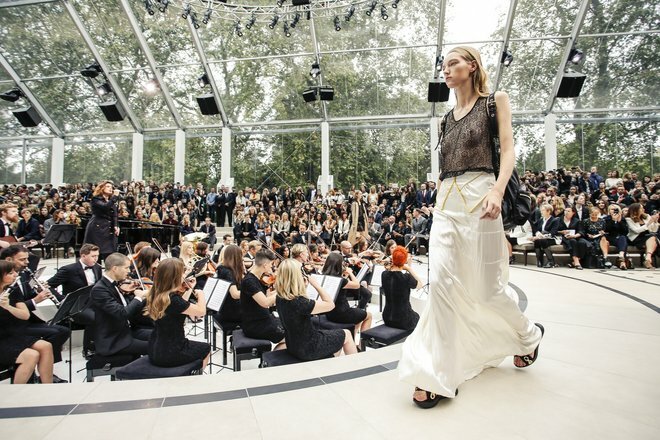 This time Christopher Bailey put music center stage in his own tent in the park, hosting a mini gig by Alison Moyet as his girls circled the orchestra pit in silk slip dresses, military jackets, and monogrammed backpacks. All tied back to Burberry’s first-of-its-kind branded music channel on Apple’s new streaming music service. 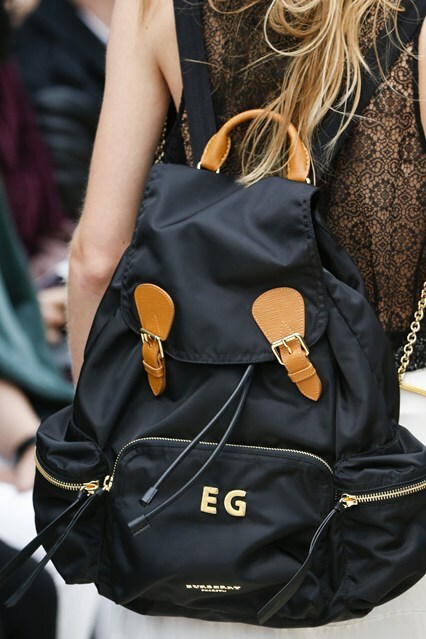 Watch the Burberry 2016 show below. 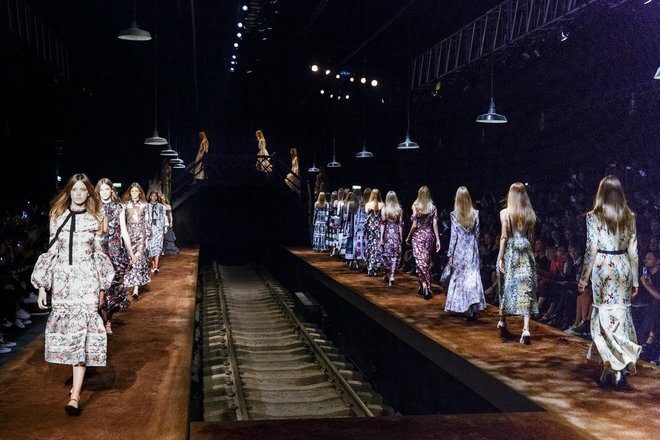 HOLDING your show in a theatre sets up an expectation of drama, and Erdem was in the mood to entertain. 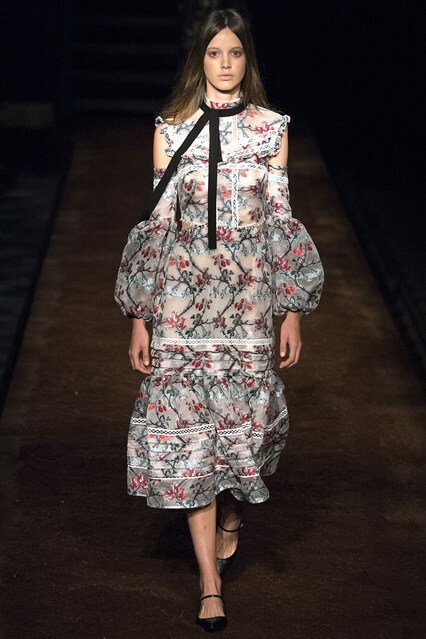 Erdem Moralioglu’s poetic excursion to the prairies made a compelling case for the return of Victoriana-meets-’70s long dresses. Puff sleeve, point number one: When Jonathan Anderson’s gigantic, inflated leg-of-mutton sleeves first hit the eye, it was a case of: What’s that? Is it Edwardian, is it ’80s, is it Henry VIII? Or is it just what we’ll be wanting to wear, any minute? Keith Haring-style black and white squiggles, tiny bee-sting sized cupped bras worn over engineered knits, pink eyelash trimmed lace whipped into blouses or cycling shorts that skimmed thighs, and mannish tailoring with overlock stitch trim, like someone turned the whole thing inside out. A million ideas came hard and fast, most still steeped in the Eighties – a JW favourite – but a wholly different Eighties to last season. Cloud-like silhouettes and prints appropriately floated on by with bows unfurling at hips and shoulders and speckled with jewels; wrapping took centre stage, for brace-like affirmations that framed the body in chord. It was tulle and it was light, delicate and incredibly Simone. And still relatively early on in her career, that’s a great thing to be able to say. 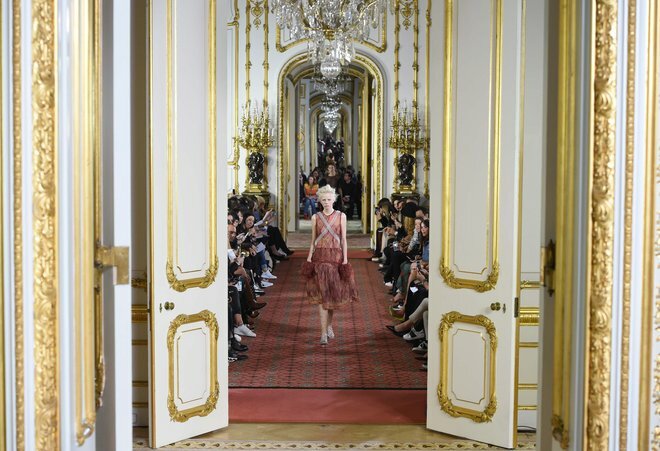 Puff sleeve, point number two: The series of pretty pink party dresses Simone Rocha marched out under the ornate ceilings of Lancaster House had puff sleeves going on, too—plus a little bit of subversive perversity in those cross-body bandolier straps. From high up on the 35th floor in London’s Sky Garden, the view of the city was filtered through mist and rain. 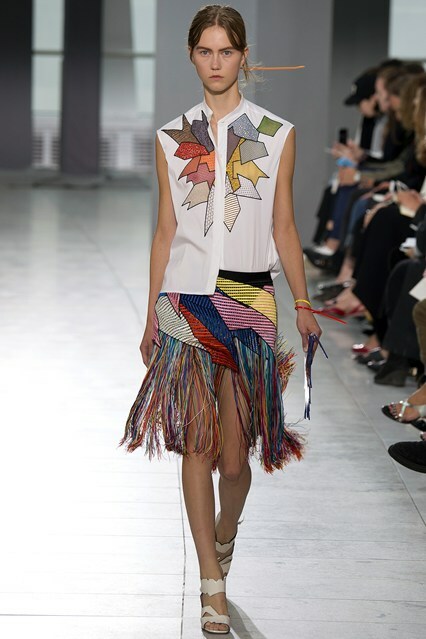 Christopher Kane brought neon lace back in a “car crash”–themed show certain to drive fans straight to his store to raid the fringing, the fractured tailoring, and the funny “explosion” envelope bags. 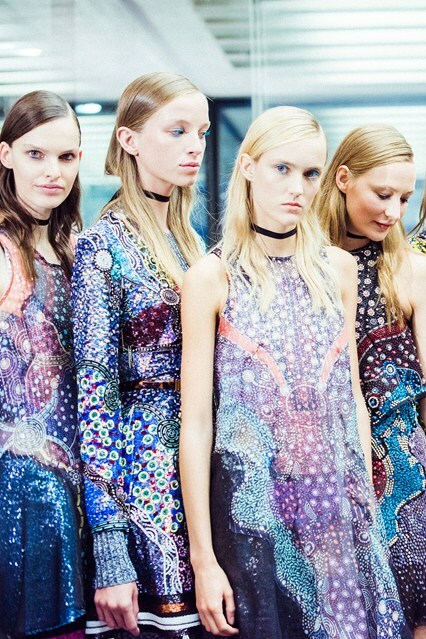 IN what was surely one of Mary Katrantzou’s most directly wearable collections yet, the designer returned to cosmology and the world as a starting point. 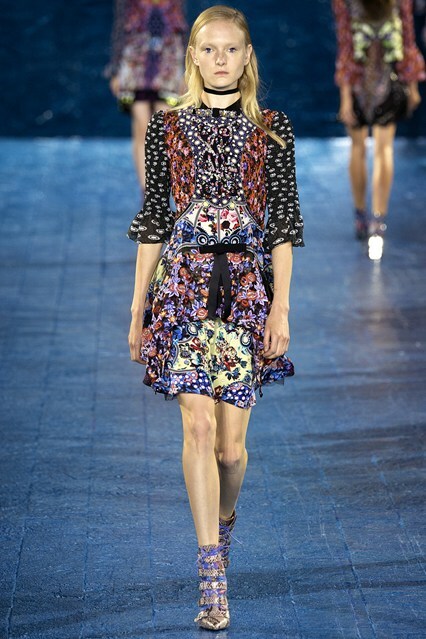 Mary Katrantzou’s cosmic gypsy-trip into tiny rose prints and micro-sequined embroidery was a departure into lightness that took her collaging talent to a different dimension.